Protect your Wheelie Bin, the contents are fully secured from third party access. 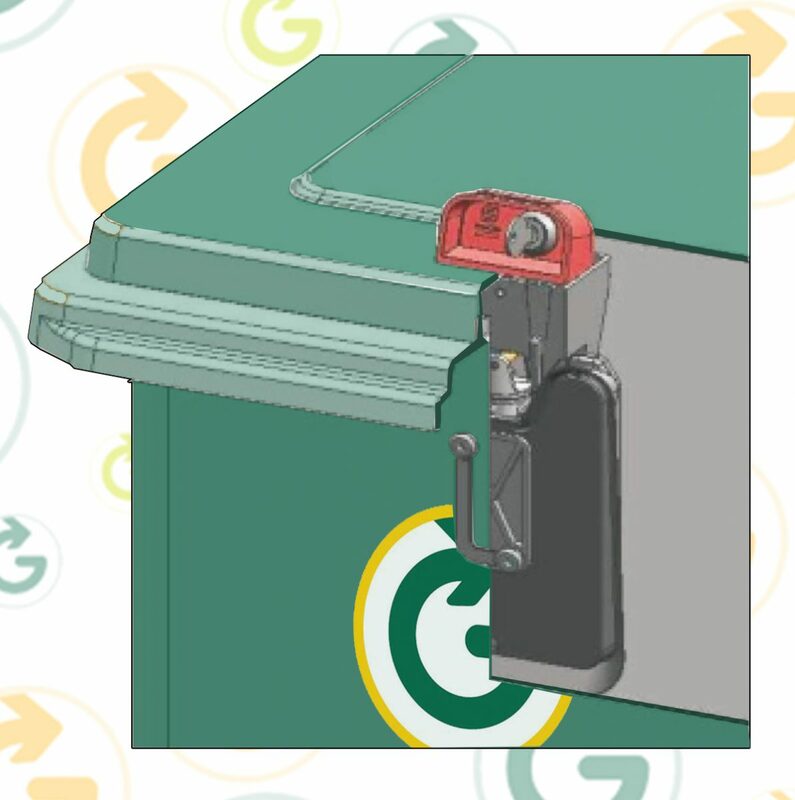 Lock opens automatically when emptied by our waste collection vehicles, triggered by gravity at a 90-degree angle when lifted. Re-locks automatically after the bin is emptied. The lock does not open when the Wheelie Bin falls onto its back, front, to the left or right, or when your bin is knocked by strong winds, animals or by vandalism. Easy to fit and reliable design. Free shipping, Republic of Ireland only.